Exome rounds. How will next-generation sequencing technologies impact on patient care in the future? What role will genetic analyses play in routine health care? Sometimes, the possible role of genetic information is compared to the role of MRI imaging, including the general expertise that is required of clinicians who apply these technologies but are not necessarily dedicated experts in the field. 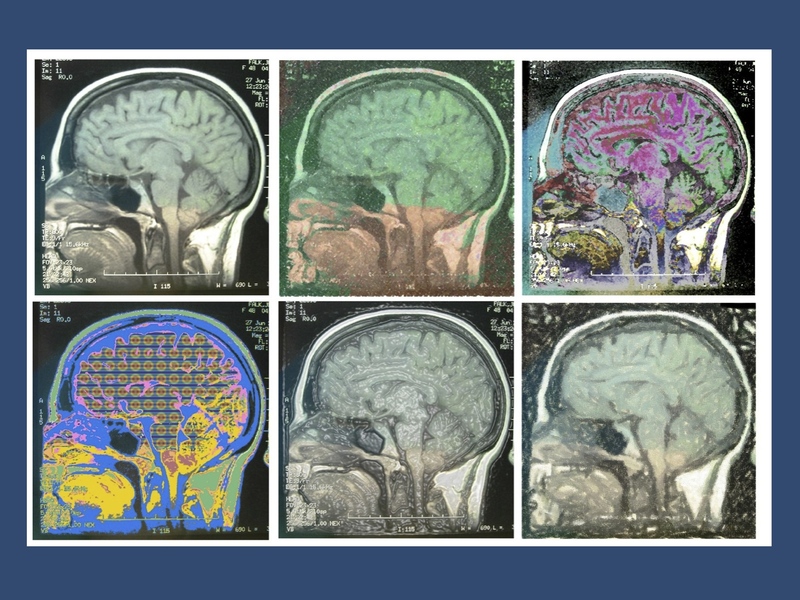 Here are three interesting parallels between exomes and MRI – and three examples how the impact of these technologies differs drastically. Similarity 1 – you need to know a little. In many clinical centers, we already feel the impact of next generation sequencing methods as gene panels become more and more available. In many cases, there is a cycle of initial enthusiasm followed by disappointment when many rare variants come back as variants of unknown significance. How should we interpret these variants, are they potentially interesting or something that we don’t need to consider any further. Do we need a more comprehensive technology such as exome or genome sequencing? What we will see in the next few years is that we will have some simple, specific rules emerging for the non-geneticist clinicians. This is pretty much how we use imaging in clinical practice. We are not neuroradiologists, but it is important for us to understand the basics when we are presented with a CT or an MRI scan. We should be able to spot the obvious pathology and have a feel whether certain changes, like white matter hyperintenities or mild atrophy, are relevant to the patient in front of us. Similarity 2 – clinical context matters. Let’s take this comparison one step further. Clinical context matters in the interpretation of MRI images. The radiologist usually doesn’t have all the clinical information that you have and needs to rely on general reporting principles to assess the image. Ideally, there is a joint assessment through clinicians and radiologists to make sure that you extract the maximum amount of information from the images. However, without your clinical judgment, many MRI images would be meaningless – “clinical correlation is required” is the phrase often used in the official radiology reports. The same is true for genetic studies. The phenotypes you look at have a very strong impact on how you interpret the genetic data. For example, in a patient with Dravet Syndrome, you would likely call an inherited SCN1A variant important and would go on to analyze further how this variant could be inherited in the first place (e.g. mosaicism). In other instances, you might dismiss this variant as not pathogenic as it is inherited. As we discussed in previous blog posts, genetic information always needs context – one of the contexts that is necessary is the clinical context. Similarity 3 – expanding technologies. Both imaging and genetic sequencing are becoming more and more available. Neuroimaging has already become a screening technology – an investigation that is easily ordered and performed and where the clinical indication is relatively loose – i.e. when in doubt, you would consider an MRI scan. Other technologies are more prohibitive as they are either expensive, time consuming or invasive. Genetic high-throughput studies are currently in the process of becoming cheaper and more widely available, both on a research level and on a clinical level. This will lead to far more use of these technologies – when in doubt, you will end up ordering exome sequencing in the near future. However, there are also some important differences between MRI and exomes. Difference 1 – Exome visualization is less intuitive. MRI has the big advantage of being visual in the first place. The data are reformatted into images and images are what we use for the overall assessment. This allows you to discuss images jointly, present them during conferences and use representative images on posters or publications. Exomes are different, they are data to start with. The best with respect to visualization that we have come up with so far are variant viewers that allow us to assess single variants directly. However, there is no intuitive way yet to visualize entire exomes in a manner that would allow us to display much of the information at one glance. That’s something to work on if we ever want to have exome rounds. Difference 2 – Exomes don’t change. Serial assessment is one of the strengths of neuroimaging. We can assess pathology by looking at development over time. A lesion that doesn’t change over a certain period of time is unlikely to be a malignancy, a structural change that gets worse over time may make us concerned about a neurodegenerative disease. Exomes don’t offer this kind of serial assessment when we are looking at germ line mutations. The de novo variant of unknown significance does not get more pathogenic over time. Difference 3 – Exomes take time. You can get a stat CT to help you in your clinical decision making power. Depending on your persuasion skills or your ability at arm-twisting you can get an urgent MRI for time-sensitive clinical decisions. In the field of epilepsy it’s the MRI in a child with seizures in the setting of fever who doesn’t return to baseline. You want to exclude herpes encephalitis and in addition to a spinal tap, the MRI is an important component of this assessment. Exomes, in contrast, take time. It takes time to perform the analysis, run the bioinformatics and interpret the findings. Exome analysis is more like a thorough pathology report. You’ll get the answer in the end, but it will take time. Summary. I have tried to make the point that there is an analogy between the way we integrate neuroimaging and neurogenetics in clinical practice. This analogy is not perfect by far. However, we want to make the point that the “genetic literacy” that will be required by clinicians may reflect some of the considerations we have when it comes to using neuroimaging. This blog post was approved by the ILAE Genetics Commission. This entry was posted in 2014, Epileptic encephalopathy, ILAE Genetics Commission and tagged exome, false positives, fMRI, gene panel, genome sequencing, incidental finding, incidentaloma, MRI, screening tool, STAT CT. Bookmark the permalink. Hi Ingo – great post, as always. I’m a computational biologist/geneticist and parent of a child with LGS (and so, keenly interested, professionally and personally, in the genetics of epilepsy). There are certainly genomic mutations (like CAG-repeat expansions in the huntingtin gene) that are thought to affect the timing of disease onset, not just severity. In this way, some mutations can have a temporal effect, rather than just a binary (disease/non-disease) effect. While it is unlikely that one’s exome sequence will vary much over time (somatic mutations over time shouldn’t strongly sway variant frequencies from 0, 0.5, and 1, in general), the effect of the mutations that we are born with can manifest differently over time, and as a result of specific environmental input. Agreed. And this is why efforts like CURE’s Epilepsy Genetics Initiative are so darned exciting! Agree, we need 10,000 exomes to get to the next level of gene discovery in the epilepsies.